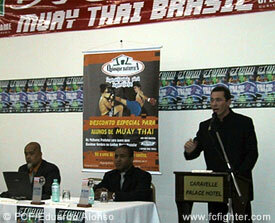 Storm Muay Thai Worldready To Shake Curitiba! Yesterday, May 24th, at the Caravelle Palace Hotel in Curitiba, the rules meeting was held for the fifth edition of the biggest Muay Thai event in Brazil. Organized by Chute Boxe coach Rudimar Fedrigo, the event is drawing the attention of the whole fighting community in Brazil, and, as always, all the stars from the Chute Boxe team were on hand for the rules meeting. From PRIDE Superstar Wanderlei Silva, to K-1’s newest sensation Nilson de Castro, all the fighters from the Chute Boxe team were happy to attend the event that wasn’t only an ordinary rules meeting but a State of Parana Muay Thai Federation official event. Rudimar Fedrigo was the founder and president of the federation for several years, and after leaving his position, he passed the torch to his long time friend and student Rafael Cordeiro, in an important ceremony for the Muay Thai community in Brazil. Another important presence at the rules meeting was Master Nelio Naja, the man who brought Muay Thai to Brazil and taught Rudimar the art of Thai boxing. After the official ceremony and some speeches, the rules meeting took place with no complaints or doubts from the competitors. Some of the fights will have 3 rounds of 3 minutes each, and the more important fights will be 5 rounds of 3 minutes each. The highlight of the night was the production level of the rules meeting, with every single fighter being introduced with music playing and videos showing fights all over the screens. This type of production has never seen before at a Muay Thai event in Brazil, and shows how serious the organizers are taking their jobs. Among the most important happenings at the rules meeting was the announcement of some plans for the next MECA event, which will take place after the Soccer World Cup in the end of July. The organizers are planning an even bigger production for the seventh edition of MECA, and the event is likely to take place at the Taruma Gymnasium, a facility that holds 10,000 people! Some fights are already heavily rumored, with UFC veteran Eugenio Tadeu facing Ryan Gracie student Marcelo Giudice, and IVC veteran Haroldo "Cabelinho" facing MECA 5 winner Katel Kubis. 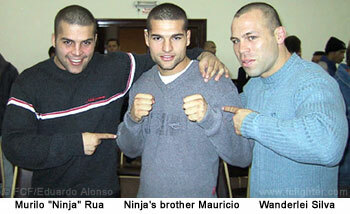 The event will also see the debut of Murilo Ninja’s brother, Mauricio and the return of Cristiano Marcelo and Nilson de Castro. Judging by the production shown so far at the STORM event, one can only dream of what kind of surprises MECA is holding for the future. STORM is scheduled to start at 5 PM Brazilian time today, at the beautiful OPERA DE ARAME, one of Curitiba’s most traditional landmarks that will play host to a fighting event for the first time in its history. Vanderlei Silva and Pele will referee some of the fights. Some Brazilian TV networks are even coming to cover the event that promises to be the best Muay Thai event ever realized in Brazil, and of course FCF will be there to bring you all the action. 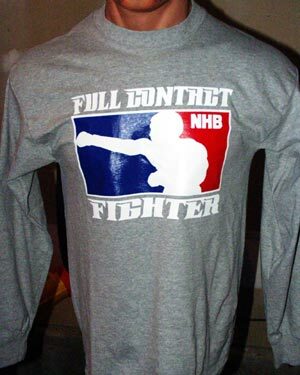 New Long Sleeve NHB Shirt! You see all the top fighters wearing them — now you can as well!